Throughout my practice as a physician I have worked with thousands of patients who have struggled with IBS, and helped them to lay out a plan to overcome it. Is Irritable Bowel Syndrome Curable? Unfortunately, IBS is a chronic condition without a definitive cure. 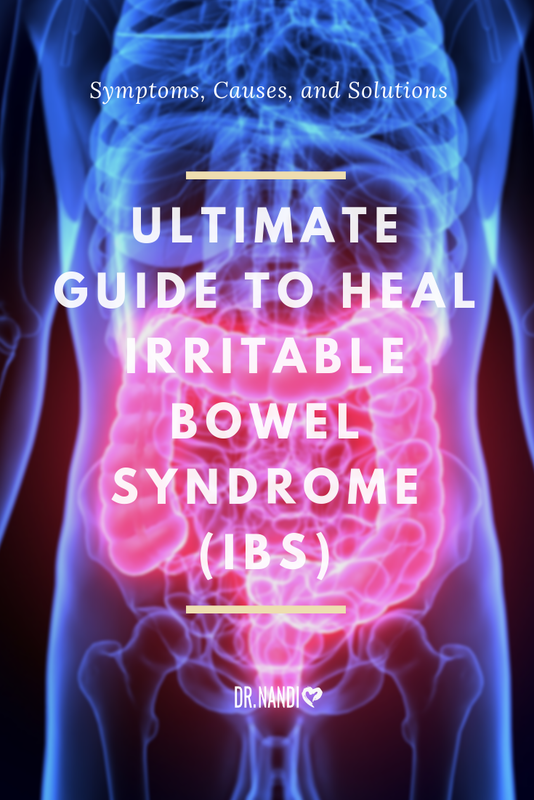 However, throughout my practice, I have found that there are many different and successful ways to treat IBS so that it is no longer debilitating. I have worked closely with my patients and found the lifestyle changes, diets, medicines, including probiotics that worked best for them. Are IBS and IBD The Same Thing? Although both IBS (irritable bowel syndrome) and IBD (inflammatory bowel disease) can have similar symptoms, there are not the same thing. Are IBS And Leaky Gut The Same Thing? Although talking about IBS may be uncomfortable, it is important to do so in order to ensure that you are getting the correct type of treatment. You are not alone in your digestive struggles, and you don’t have to live with these symptoms. I have helped thousands of patients find relief even after decades of suffering from IBS by simply following the steps below. Most adults will experience constipation, diarrhea, bloating, and abdominal pain from time to time, and some more frequently than others. As there can be many causes for these symptoms, the first step I suggest you take if you suspect you have IBS is to visit your doctor and get a firm diagnosis. That way you can be certain of your specific condition and know exactly how to move forward in the healing process. When patients come to me for this type of diagnosis I will first review their symptoms and medical and family history and perform a physical exam. Some cases may require additional testing such as endoscopy in order to rule out other health problems such as IBD, celiac disease, or colon cancer. Once a patient has been diagnosed I will review with them dieting strategies to improve their condition. Because IBS involves the digestive system diet is an extremely important factor. Throughout my practice I have found that some triggers for IBS can be processed and inflammatory foods. I encourage my patients to focus on removing these foods from their diet first to see if their symptoms improve. This step is often the most challenging for my patients, but it is also the most beneficial and important. The American lifestyle has thrown whole foods out the window and replaced them with freezer meals, packaged foods, artificial ingredients, and fast foods, and I realize the difficulty in sifting through all of this in order to eat right. 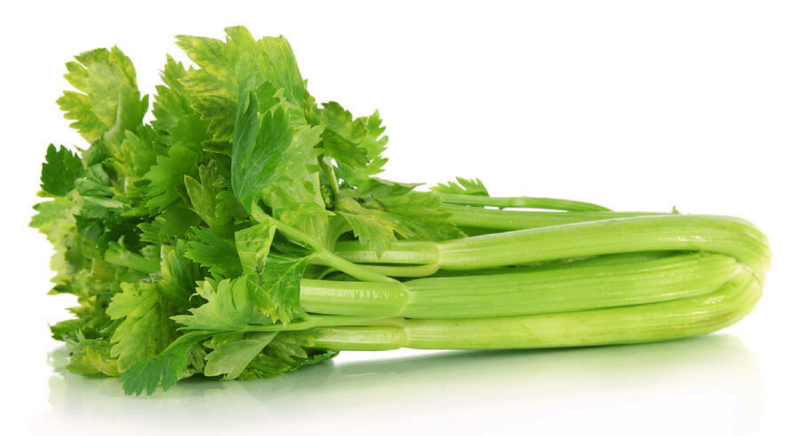 But you won’t have to avoid these types of foods indefinitely. Once you can get your gut back in good health you can slowly, and in moderation, add these foods back into your diet. I often recommended the 80/20 rule. 80 percent healthy foods, and 20 percent less healthy foods. This way you can ensure that you are eating the wholesome foods that your body needs, while you still get the occasional treat. The key is moderation and balance. Along with avoiding certain foods, the next step is to consciously add foods into your diet that will help heal the gut. It’s amazing the wonders that a wholesome diet of natural, real foods can do. In addition to a whole food diet, here are some foods that will go the extra mile when it comes to your digestive system. The next step to managing IBS is to remove the unwanted bacteria from your gut. As bacterial overgrowth can cause bloating and IBS, with my patients I will often prescribe certain medications that can combat this. 200 mg of rifaximin (Xifaxin) three times a day for 7 to 10 days can do the trick. Talk with your doctor to find the right method for you. Your microbiome is located in your gut and other parts of your body. When your microbiome is balanced your gut health improves along with your mood and energy. To help my patients replenish their microbiome I suggest eating fermented foods daily. If you are not able to eat many fermented foods, a probiotic supplement is the next best option. Take a high-quality probiotic 1-2 times daily for at least 100 days. The next thing I recommend to patients is to try taking digestive enzymes along with each meal. Sometimes your body just needs a little extra help breaking down your food. In all reality, your body doesn’t absorb food at all, it absorbs nutrients. This is why your food has to be completely broken down before your body can get anything useful out of it. Some people just need a little boost in the digestive process to make sure that their food is being processed and broken down completely. Q. Will irritable bowel syndrome show up on a colonoscopy? A. No. A colonoscopy is used to check for irritated and swollen tissue, ulcers, polyps, and cancer. Since IBS often does not show any visible signs of tissue damage, a colonoscopy is typically not required to diagnose IBS. However, a colonoscopy may be needed to exclude other diseases. Q. Is irritable bowel syndrome hereditary? A. Yes. It can be. Those who have a family history of IBS are more likely to have IBS themselves. Q. 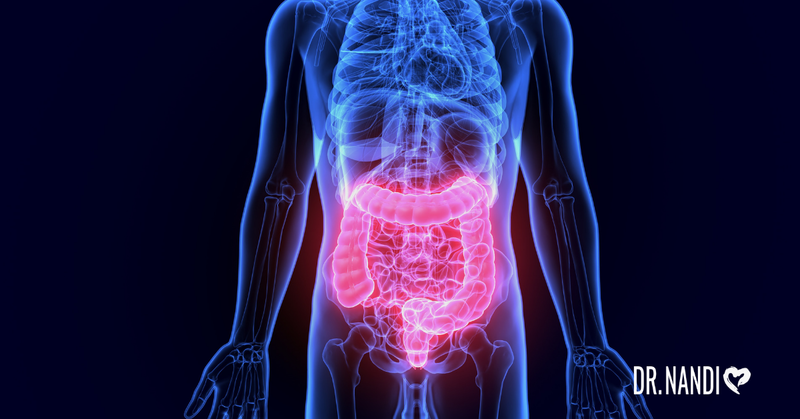 Where does irritable bowel syndrome cause pain? A. The most common area for pain with IBS is in the abdomen. Many suffer from cramping or abdominal pain. Due to constipation, diarrhea, and gas, many people with IBS report pain in the belly. Q. Is irritable bowel syndrome a disability? A. No. Athough IBS can be debilitating in severe cases, it is more often a condition that can be managed with certain lifestyle changes, medications, and counseling. Q. Is irritable bowel syndrome contagious? A. No. IBS is not contagious. It is a chronic condition that cannot be transmitted through physical contact, ingestion, or penetration. Q. Can irritable bowel syndrome cause back pain? A. No. IBS can cause pain in the abdomen or in the belly due to constipation, diarrhea, or gas. If you are experiencing back pain along with these symptoms it is likely that the two are unrelated. Q. Can IBS cause chest pain? A. No. 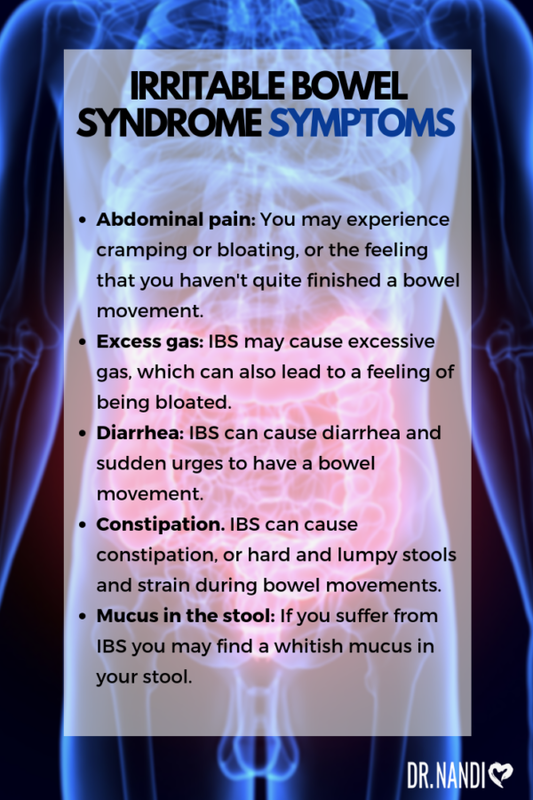 IBS is related to pain in the gut and abdomen due to constipation, diarrhea, or gas. If you are experiencing chest pain along with these symptoms, it is likely that the two are unrelated. Q. Will IBS lead to cancer? Q. Why IBS causes bloating? Keeping your diet wholesome and healthy, removing unwanted bacteria, and finding the right remedies for you are all key players when it comes to keeping your IBS manageable and under control. Irritable bowel syndrome can be an uncomfortable and frustrating condition to deal with throughout a lifetime, but the good news is that there are many different treatments, remedies, foods, and lifestyle changes that can help you keep your symptoms under control and allow you to live your life the way you want to live it.